AramisAuto is a leader in France’s new and second-hand automotive sales industry. They reached this point by taking advantage of internally developed analytics projects headed by business intelligence engineers and data scientists. 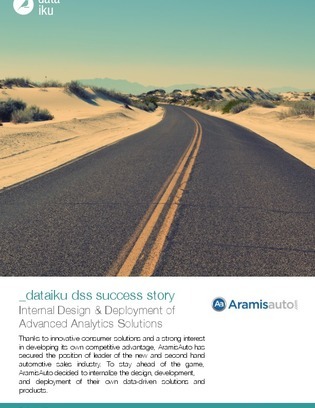 To get their new hires up to speed quickly, AramisAuto adopted Dataiku’s Data Science Studio (DSS). DSS’s whitebox approach, collaborative team-centric functionality and ease-of-use provided the company with the tools they needed to empower their data team to quickly prototype, test, iterate, and deploy innovative data-driven solutions. Read this case study to learn if DSS will be a good fit for your business or enterprise.